Looking for a new job, ready for a career change, considering to become an entrepreneur? We offer various options of career coaching to empower our clients to move forward to achieve their long-term and/or short-term career goals. We support clients landing the right job with a highly individual and tailored approach or finding out about careers in entrepreneurship. Our program will help you define your life and career goals, develop a comprehensive career plan, discover the options available and then take action with the right strategy. Together we shape the story of the transition for interviews and networking and we prepare your CV and cover letter. 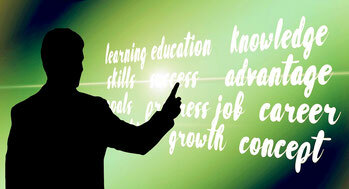 We support you to activate several career tools to keep you moving forward to achieve your goals. Our flexible career services and outplacement programs include executive career counseling, career coaching & development, personal branding, reputation management, executive coaching, improvement of business communication skills, meeting preparation, improvement of presentation, effective job search campaigning, global research, social media and Linkedin integration, career transition, interview training and cv writing adressing the individual needs and unique career goals of our clients with utmost personal attention and global approach.